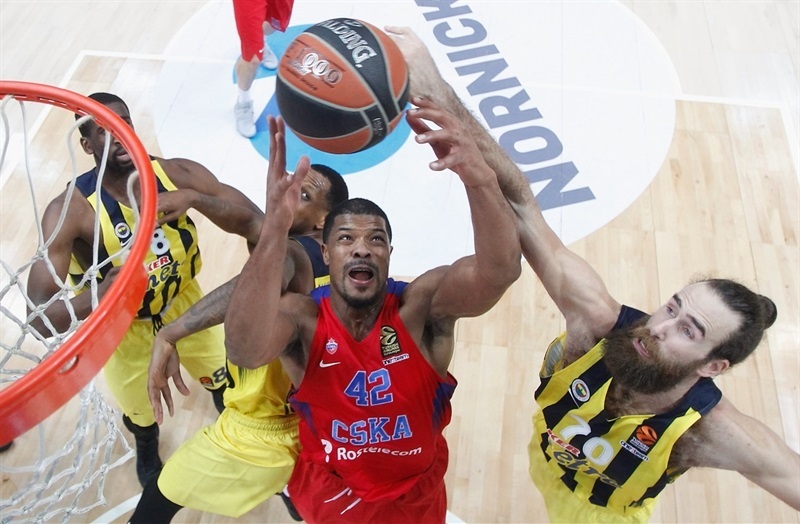 History repeated itself as CSKA Moscow and Fenerbahce Istanbul went to overtime, just as they did in last season’s Turkish Airlines EuroLeague Championship Game. 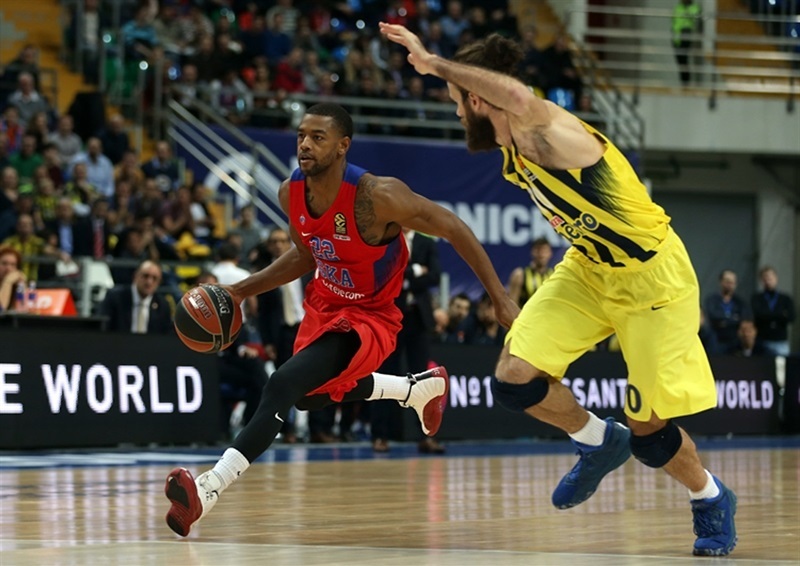 But the final outcome was very different on this occasion as Bobby Dixon inspired a spectacular finish for Fenerbahce, which triumphed 79-95 after winning the extra period 4-20 – a competition record margin in overtime. Earlier, CSKA had regularly threatened to run away with the game and twice enjoyed double-digit leads. 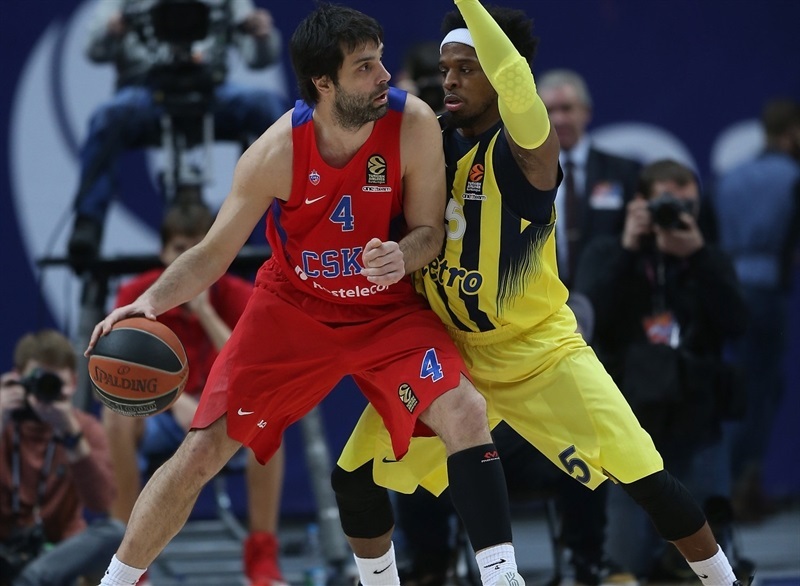 Milos Teodosic led the way with 21 points but also committed 9 turnovers against an intense visiting defense. 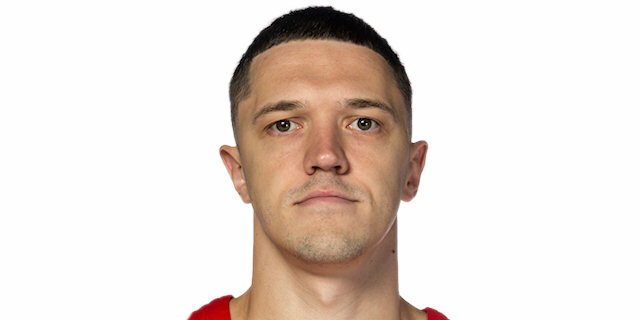 Andrey Vorontsevich scored 15 points, with Nikita Kurbanov adding 12 and Aaron Jackson 11. 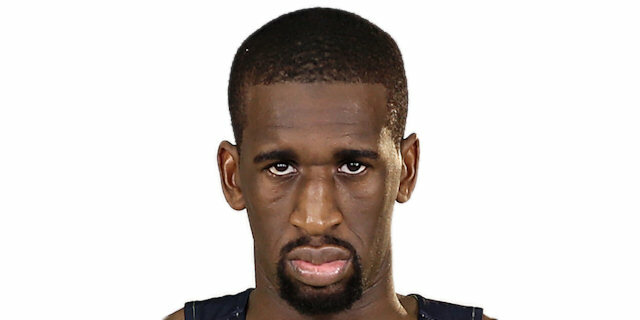 But Fenerbahce played with real heart to repeatedly force its way back, initially inspired by Ekpe Udoh’s double-double of 17 points and 11 rebounds. 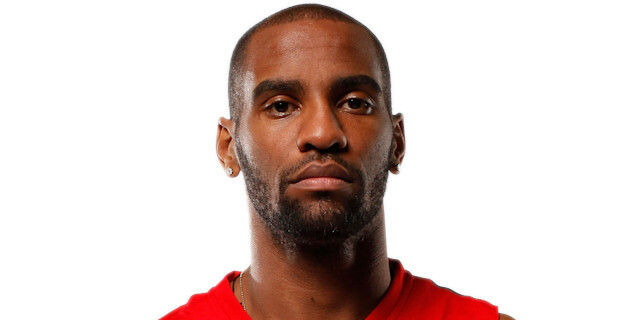 Nikola Kalinic with 13 points, James Nunnally with 11 and Jan Vesely with 10, all played their part, but the real star was Dixon who finished with 25 points, including 12 in overtime, to end CSKA’s 17-game unbeaten run at home. The early stages were closely contested, with 5 lead changes in the first six minutes. 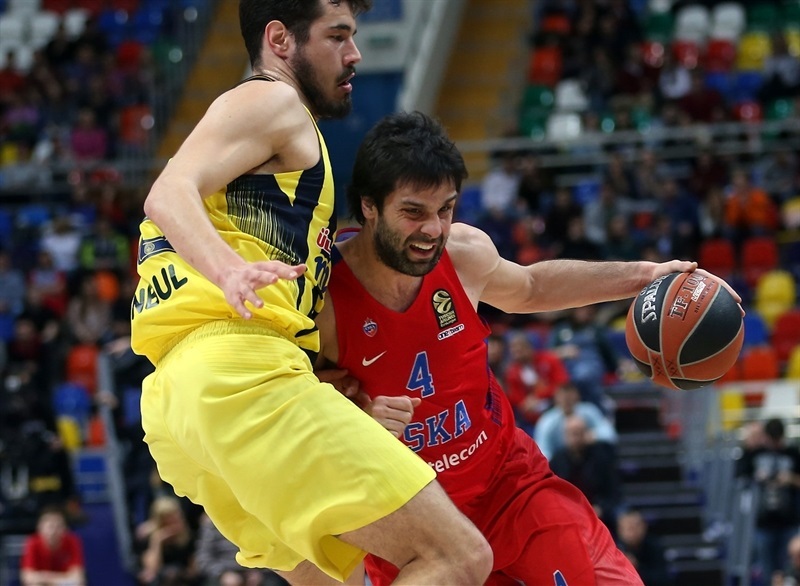 But CSKA drew a succession of fouls to enjoy a 12-0 run – including 10 free throws – and establish a double-digit lead. 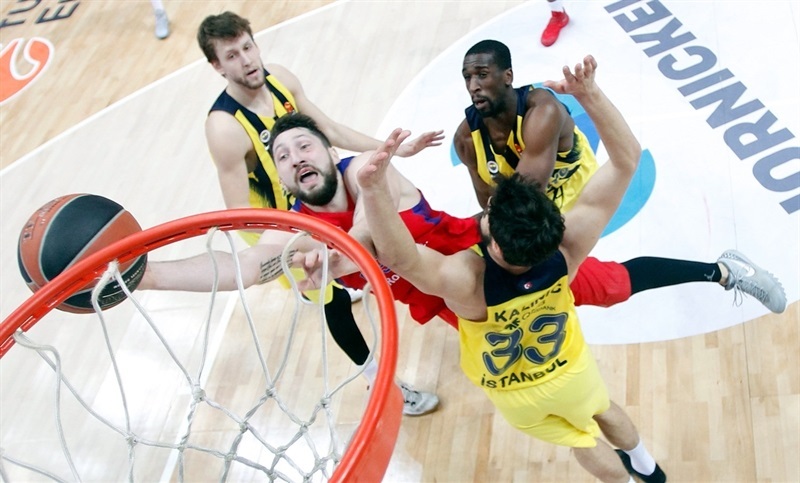 Fenerbahce battled back with Melih Mahmutoglu and Dixon hitting triples in a 0-9 tear. The visiting team briefly tied the game before Aaron Jackson scored 4 quick points to re-establish CSKA’s lead, and it was 41-36 at halftime. 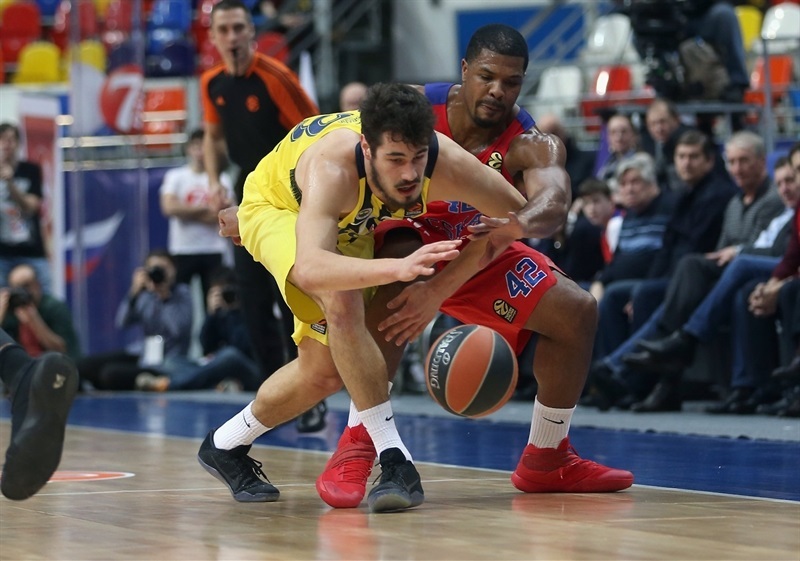 Teodosic and Vorontsevich both hit a pair of triples early in the third quarter to give CSKA an 11-point lead, but Fener again responded and Dixon’s four-point play near the buzzer made it 59-58 at the end of the third. 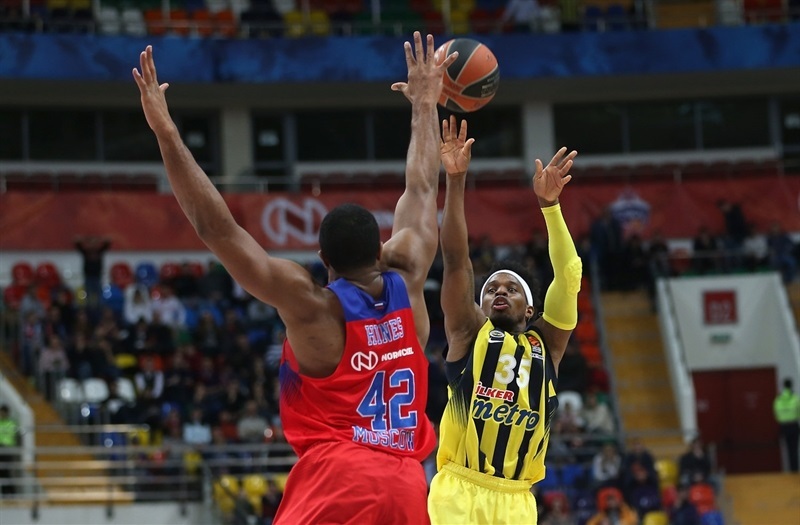 The outstanding Udoh scored the first basket of fourth quarter to send Fener ahead, and it was close all the way from then. In the final minute Kurbanov drained a three-pointer, but Dixon converted a basket-plus-foul to force overtime. 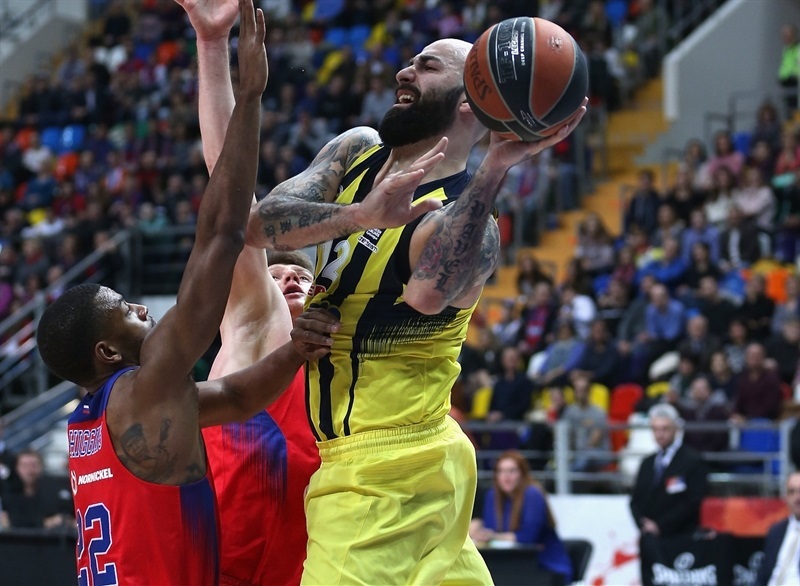 Fenerbahce started the extra period on fire as Dixon starred in a stunning 0-11 run, and there was no way back as Fener’s defense held firm to gain a measure of revenge for last season’s grand finale. 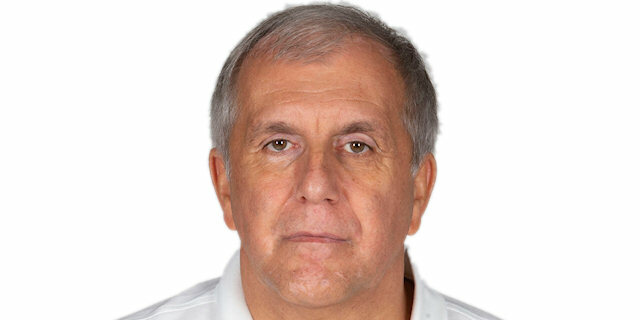 "Congratulations to Fener for their win; they were much better in overtime. But if we want to see the whole game, we started very well and did exactly what we wanted both offensively and defensively. It was a pretty good defensive night for us. Although the scoreboard says 95 points, 20 were in overtime. But we gave up a lot of balls as a result of their pressure and some offensive mistakes and bad spacing. We had 23 turnovers and gave Fener the opportunity to score some easy baskets. In overtime the first couple of minutes decided the outcome and we couldn’t bounce back. We’re still first in the standings, we have wise players and we will bounce back for sure." "Both teams had possibilities to win. CSKA played very well in the first half and dominated; they shot excellently and had incredible stats in the first half, but one thing about my team is that we never give up. We continued to fight and tried to win the game. In the last quarter we had an advantage of 4 points, but we didn’t handle our offense well. We were nervous, made bad decisions and gave opportunities to them to come back. In overtime the first minute was key, and I’m very happy because this is a very important victory. I hope my players will now understand the quality they have and will play more relaxed. 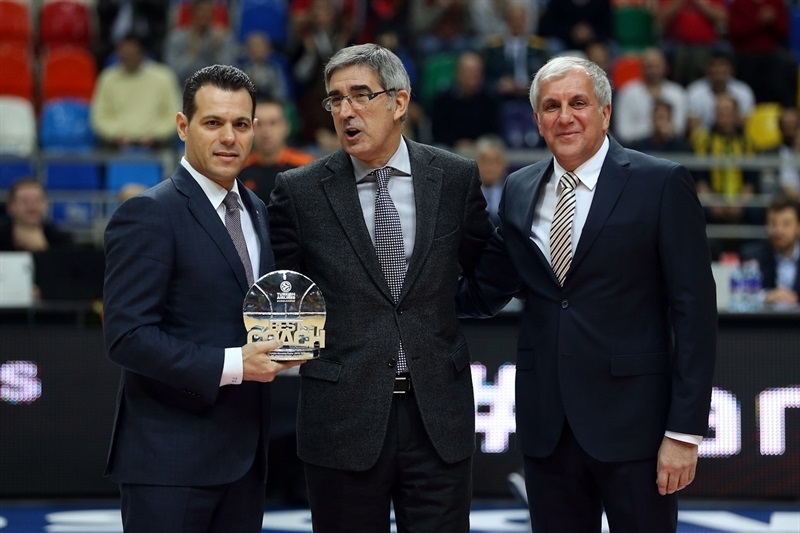 EuroLeague this year is different, very tough, more trips and it’s not easy. But it’s good for players because they have more games and less practices, which everybody likes!" "First of all we lost to a strong opponent. If we look at the result of the game we’ll see it’s awful to allow 20 points in overtime. Although in general we were better on the court today during the whole 40 minutes. We started with a 10, 12 point advantage and Fenerbahce had to catch up. We controlled the game. 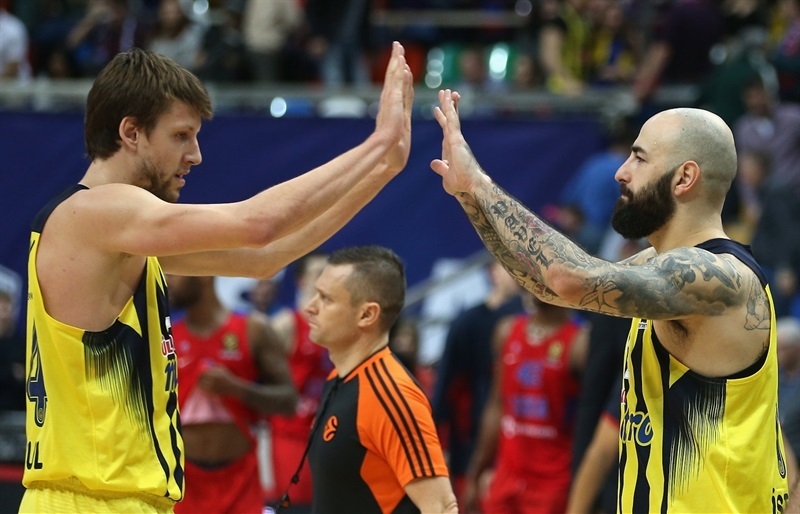 But we made 2 turnovers in overtime and Fenerbahce got easy points and we couldn’t come back in the game." "In the first minute of overtime, they did a really good job and blitzed us. We made stupid turnovers and mistakes, some guys were a little tired, but they did a good job of playing defense. We played a great game for four quarters, we had them right where we wanted, but they made some plays and won the game." "It is a great win. We are both not healthy, we are both not at our peak. But this was a great win for us coming off a loss on home floor. CSKA is obviously the top team in Europe. But, you know, we battled. We were up and down, but we were able to stay there and at the end we made big plays. Key was just staying with it until the end. They hit big shots, but we just grinded it out. That’s how we need to play. We have to find in ourselves what we put out there today, and use that for the rest of the season."